Premium milk, white and semi-sweet chocolates. Whoops! We did it again. 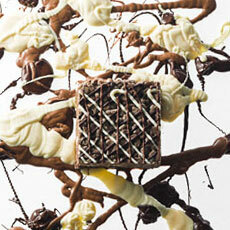 Chocolate lovers rejoice there can be no mistakes when it comes to chocolate. Our Boo-Boo is the best. A blend of three premium Chocolates: Milk, White, and Dark. All natural and organic ingredients. Only the Best. Naturally.